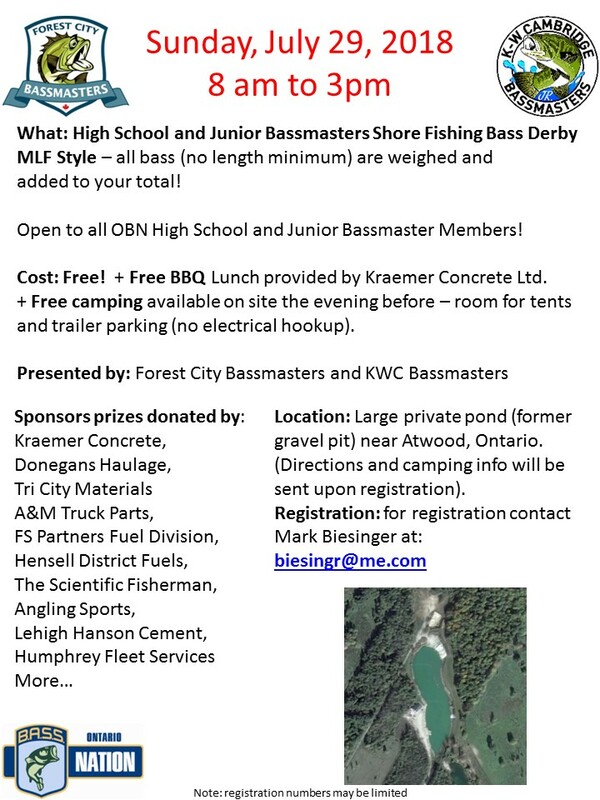 Presented by Forest City and KWC Bassmasters – High School and Jr. Bassmaster Shore Fishing MLF Style Derby – free and open to all OBN HS or Jr. club members. Entry is free, free BBQ lunch, free camping on site the night before, lots of sponsor prizes coming in for this!!!! Should be a ton of fun. If any club member parents are interested in helping out that would also be appreciated. Contact info on the flyer below.